I was still on Whidbey Island and so decided to participate by going to the local farmers market at Bayview. It was a good chance to work on people moving in and out of my frame of view. We were blessed with sunshine for a few hours on Saturday after experiencing severe rain and lightning storms the previous 24 hours. 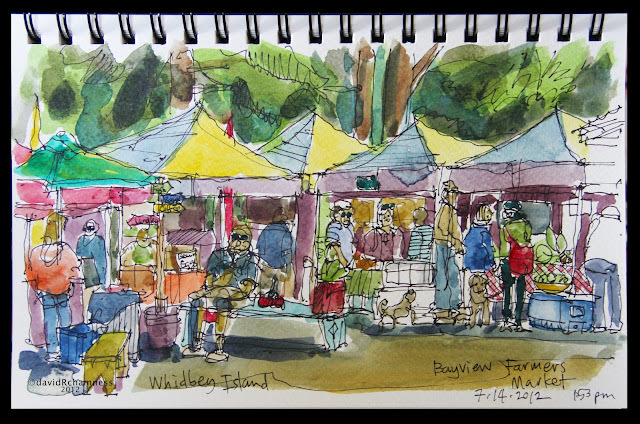 The crowds was lively with local musicians playing in the background and all the wonderful vendors with their foods/ wares. 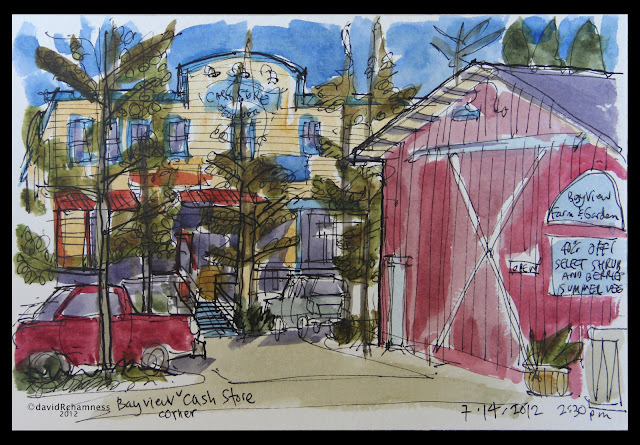 Before going back to our island house I did a quick sketch of the historic corner store and garden center at Bayview (that was next to the lot where the farmers market was).